In hardware, you can license your innovation to another brand letting them do all the work from branding to manufacturing, distribution and sales while getting a cut for every unit sold. In software there is a similar licensing deal but in this case, it’s direct to consumers who pay a fee (usually monthly) for using the product. That’s something we refer to as a software as a service (SaaS) model. Dropbox, Slack and Trello are three SaaS companies that you must have heard of or probably use today. How do we bootstrap (self-fund) one of those? In three summarized steps, here’s how. 1) Ensure you’re solving the right problem with the right solution and thus cutting resources wasted on building the first typically useless versions that serve to guide you towards what really needs to be created. 2) Build the initial version of the product with only the core features from which 1 or 2 are exceptionally better than exiting solutions. These key features will attract and keep customers while building the momentum in your newly introduced startup product. 3) Listen to a wider audience, adjust then build more or focus on less. This is the part where all you need is your PC (with internet), a few hours a week and the passion to build a successful startup venture. Dropbox: Carrying a USB everywhere you go and making sure the latest work is saved in it before leaving is an inconvenience but not the fundamental problem. The problem is in the risk of loss of sensitive information and the time wasted in sharing and organizing large files over email and through USBs. If Dropbox focused on the inconvenience, it could have introduced a key chain USB. Slack: Communicating with a group of team members over email, phone, in person or even Skype for an update, announcement, review, assignment or any task can be frustrating and time consuming to get everyone on the same page. The problem is that such inconvenience deviates focus from the goals that the team or company is trying to accomplish from those meetings. If Slack focused on the inconvenience, it could have improved the most used communication medium at work, email. The point is, the real and best problems are often deeper than the obvious surface. It’s about what the customer is really trying to accomplish. And that problem is not letting them do it. The first step in finding the right and best problem(s) to solve is to treat your product as if it’s needed to be formally recruited by a team or a person to fill a position and do a specific job. What’s that job? By the way, I’ve created a checkist and summary of the whole guide. You can download it here. Everthing you’re about to read is narrowed down to bullet points. Think about any product you’re currently using, say your computer to read this guide. Before the creation of computers, how did people get access to guides and books? mostly libraries. If you think about it, all what the new revolutionary solution (computers) did was take care of an old job. Jobs to be done are the same, it’s the solutions that change. The new solutions (yours) are hired to take care of old jobs. Can you do it better? In sum, your new product will be used to deliver a better outcome to an existing job. It won’t reinvent the wheel, it’ll improve it. More details about product management can be found in Hiten Shah’s e-book. So, how do we know what job(s) needs to be done? Most of the time, you feel like you know exactly what to create let alone if the job to be done is one that applies directly to you. The easiest way to remove the bias here is to think about the number of people who could benefit from the product. It’s fair to say that there’s a lot more people than just you and thus you need to give the majority a chance to tell you about their needs. Your specific problem is unlikely to be the exact same of the majority. Replicating the functionality of existing solutions won’t cut it anymore. First, people can use whatever they use today so they don’t need to switch to a similar one, and second, you’ve got bigger brands to compete with. Therefore, basing your assumptions on user behavior of existing products is another misleading pathway to success. When I talk to customers, I want to start conversations with the right customers at the right time, so I can get quality customer feedback. This is Intercom’s jobs-to-be-done formula. In one sentence, it summarizes all the insights gained from customer interviews. Most importantly, it clearly notes what the customer is trying to accomplish: the job. And that becomes your hypothesis. However, that assumes that you know who your potential customers are so before using the when, I want, so I can framework, start with the simplest target customer hypothesis. Example: marketing leads at scaling startups have a problem learning about their existing users and visitors in real-time. Equipped with the above, you’re now ready to learn. Pre-landing page, pre-social media, pre-everything. The first people you’ll hear from are those that you recruit one person at a time. This is when you scroll through your LinkedIn connections, Twitter followers, email list, Facebook friends, local groups (meetups, social, etc.) to request some of their time to discuss the area that you’re focused on. Say, in the example above, communicating with your website visitors and product users. The people you will reach out to have to obviously fit the hypothesized target. In our case, it’s going to be startup founders who have an established product. What are you trying to accomplish by using this tool? How is this tool helping you accomplish your goal? What’s the main problem with this tool? Repeat the same process with 50 more potential users until you can clearly write your job-to-be-done statement. This can only be accomplished when you reach a consensus and interviewing 5 or 10 people won’t give you enough evidence to confidently describe your target’s needs and expectations. The best problems are those that require a solution to make customers’ lives easier. Since we’re all getting the job done somehow, better solutions, the ones you’re working on, will do it better and likely differently. To find the best problem to solve, start by looking for the fundamental roadblock that’s causing the main problem in users getting the job done. With the interviews that you’ve conducted, you must have heard one or two things repeatedly. Keep an open eye and ear on the key words they use. If things aren’t clear yet, go back and meet with another sample until you find the fundamental roadblock. Identifying the roadblock means a step closer to building a product people will use. It will also lead to a competitive advantage that’s worth people’s time and money to switch to. This is the solution (your product) part. But I bet most of us have been getting a clear idea about what the solution might be all this time. This is a very common time when most founders become biased and some get lazy. This is when some might argue: Ok, most of our interviews clearly say that they have problem X that’s preventing them from doing their job well, all we have to do now is build solution Y. 1. I want to …..
2. I can’t ….. and I want to…. 4. I am not able to …. and it’s important that I …. Open ended: Please elaborate on your selection above. Notice here how the multiple choice and the follow up question have one specific goal: learning what customers need. At this point, you also want to look at the percentage of people who take time to answer your survey. If, for example, only 5 out of 50 answered, chances are it’s not a big enough problem for them. In this case, go back to the interviews and learn more. -Prototype with potential users. The what to build part. What’s better than getting the answers straight from the user? so, take a group out for lunch or send them a gift card if they can’t meet in person, then spend 30-60 minutes prototyping the workflow together. Nothing fancy. Start by writing the steps then convert those into drawings and let the conversation lead to the what to build and how to use it. If one meeting is not enough, organize others until you reach a consensus. Obviously when you start the second meeting with different people, you’re going to start from scratch to see if people are unintentionally seeking the same thing in a similar way. What you’re looking for beyond the what and how is the wow. Because that’s what’s going to differentiate you from existing solutions and keep customers coming back and referring others. Chat directly with us as you’re trying to accomplish a goal with our product or make an informed decision to buy. All the solutions above get the same job done but the last is what creates a new norm. It’s the Wow factor. Elon Musk is known for adopting the first principles approach to tackle and solve complex problems. Thinking in terms of first principles means you’re starting from the bottom up instead of finding solutions by comparing the pros and cons of existing ones. When you think first principles, you’re boiling things down to the fundamentals. In the case of Tesla, one of the main challenges with electric cars was the price of batteries. By going back to why the price of batteries are expensive, Elon started with battery materials and reassembled to create a cost-effective version. In the case of a web or mobile app, instead of thinking about the Uber or Airbnb for X, the focus should go to X and why people aren’t able to get their job done with existing solutions. Listen to Elon talk about first principles here. Notice that so far, bootstrapped or not, technical or non-technical, all the idea execution stages above are more about getting hands dirty and not wallets dry. Nothing justifies, I can’t start because I don’t have funding or can’t code. After maximizing our understanding of users’ job-to-be-done, pain points and expectations through one-on-one interviews and surveys, it’s time to validate the conclusion(s) made from the previous stages. This is done by attracting more people with similar interests and needs. One of the most common ways startups could get people to get excited about the product is through Ship by Product Hunt. 1) See if they could give you a little bit of their time. Follow the same process above for an extra layer of qualitative validation. 2) Build awareness for your upcoming product and get people excited. 3) Check how many subscribed. If only 10 people did, chances are the majority don’t see big problems in the space you’re in. 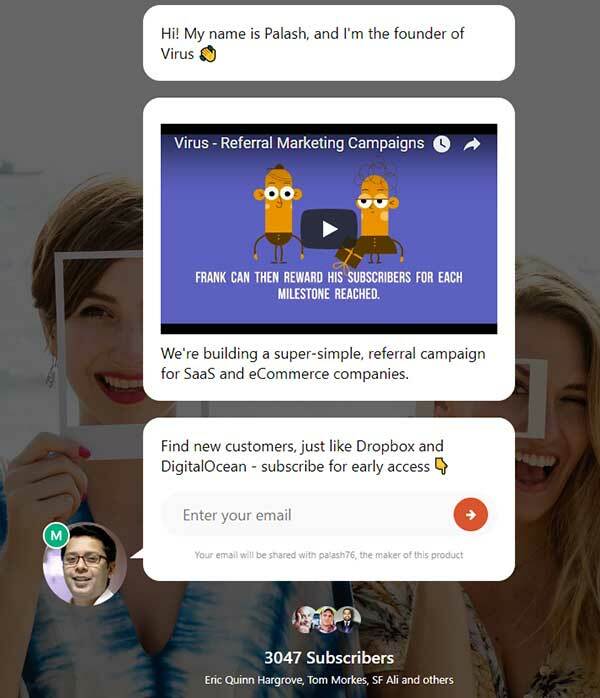 In our example above, it seems that people want a better referral campaign software. For more exposure, flexibility and in preparation for launch, create a landing page. What’s more important than acquiring customers is finding more potential users to chat with. The first version of your landing page doesn’t have to be long. It can include as little as your logo, value proposition and an email field. Here is an example. When users submit their emails, reach out with a thank you note and briefly describe what you’re building. Few days later, email them back with a survey link. Hiten Shah provides detailed examples about the type of survey questions you should ask to get the right Find it here and here. As you will see in Hiten’s posts, it’s extremely important that you ask if they’d be willing to give you some of their time for a quick call or IM. With survey reports in hand, schedule a few calls and once again go through the same process above to learn if your previously made conclusions are still valid. Tweet and don’t hesitate to ask influencers in your space to share with their followers. This usually requires nurturing relationships over some period but you’d be able to get a few people to collaborate if you reach out to many. Post on Hacker News and Reddit. Join and share in relevant Slack groups. If there’s one long term strategy that would bring people and keep them coming (besides a good product), it’s your content. Did you know Buffer founders acquired 100,000 users only from their content marketing efforts (before launch)? Before even creating the initial version of their product, they blogged aggressively on a daily basis for 9 straight months leading to hundreds of thousands of active visits and as a result many learned about what they’re working on and got excited to join and use the product when it went live. Another great opportunity to learn even more about their users. Did you know Neil Patel built multiple multi-million dollar startups with one simple formula: great product + great content? So, when users come in to submit their emails, keep them coming by including a blog in your page. This could be as simple as a link to your Medium page or by starting a blog with WordPress if that’s what you’re using for the landing page. You can buy and customize templates from Themeforet for as little as $10. Once again, as a bootstrapped founder, you haven’t made any major investment so far if any at all. The only resource you’re investing is time. It’s time to put a face to your product. At this stage, you should know by now what gets your potential users really excited. And before creating a product, the best approach to take is to make them believe there is one or that you are very close to completing it. Designing the main features with a focus on the one or two that will create the Wow then including them in your landing page is the best way to move on to the next stage while leaving some room for potential product changes after hearing users’ thoughts and monitoring their reactions. The goal is to make bad predictions soon. The cost of a mistake is cheaper now both in time and money. If you don’t have a design background, you can use InVision or Proto. My recommendations are to ask for a favor from one of your designer friends if you have any (make sure you take them out for lunch or a drink). Or, you can hire a contractor for as little as $100 to translate the workflows and hand drawn prototypes, from the part when you met with potential customers, into high quality designs. Upwork, Freelancer and Peopleperhour are good freelancing marketplaces to find good contractors. When I started my first venture a couple of years ago, I was blown away by the response I was getting from my interactions with my future product users. On average, for every 10 I met, at least 7 deliberately asked me to email them when the product is ready. Back then, I skipped most of the stages above and my meetings where mainly to tell people what I was building and get them excited. I don’t recall any red flags that would signal a STOP. So, I continued and when the product was live, less than 5% of those who expressed their interest signed up. The point is, we can meet customers all day but it isn’t until they seriously show their interest in using the product that we should be confident enough that we’re on the right track. The best way to do that is by asking them to commit. If you are truly convinced how much better this upcoming product is going to be, would you hesitate to pre-pay for it if I told you that committing today will get you 50% off forever plus you get to ask for a refund 60 days after starting to use it no questions asked? If none of your potential product users even consider buying now, something must be wrong. The conclusion is that the product is not worth switching to. We can’t wait to go live! First, I wanted to thank you for the time you gave us to talk about what you want to see in the product. Here’s a snapshot of the features that you’ll find in [product name]. If you’re interested in an early access and 50% off the premium plan forever, please be my guest. Here is where to proceed: [payment page]. We’re sending this pre-launch offer to only a few this month [or up until month X]. And if for any reason you’d like your money back, respond back to this email and I’ll make sure you get the refund shortly after. Take 60 days from launch day to make your decision. Once again, really glad that we’ve collaborated on this project to create something that can solve [problem]. Expect product launch sometime in [month]. If you have any questions or if you want to chat, just email me back. For the payment page, use Celery. You can create a payment landing page and choose if you want to get paid right away or leave the money on escrow until you launch the product. This is going to be your first proof. No one pre-orders doesn’t mean your product is trash. First, see what people are saying. This is another opportunity to make changes before investing in product development. Most people won’t buy until they get their hands on the product, but a few might. Even as little as 5% of your list pre-paying for the solution is a strong enough sign that most likely there will be demand as soon as you go live. 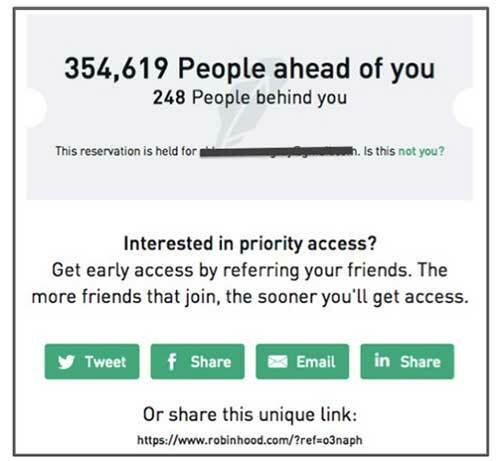 The trading app Robinhood got over 100,000 users in their wait list before they even wrote a line of code and nearly a million users before launch. This was made possible because of two things: 1) a disruptive product (investment free of commissions), and a viral loop. Social proof. Seeing over 350,000 people signed up can only mean something is unique about this product. Competition. Someone who’s eager to use Robinhood will try to gain as many spots as possible. It doesn’t take much to move ahead. Options. From social media to emails, pick your preferred sharing channel. Is this launch strategy right for you? the only question to ask is, is my product disruptive? Uber, Airbnb and Robinhood are three products that disrupted their respective industries. If you’re creating something that has the potential to become the new norm, the Robinhood approach is the way to go. Viral loops offers pre-built templates that mimic Robinhood’s launch and more. Dropbox took a slightly different approach. Their focus was more about how this new technology will change the way you store, access and share files than it was about how to get it first. Drew Houston’s 4-minute explainer video about Dropbox’s value proposition and how it works drove over 75,000 early sign ups. 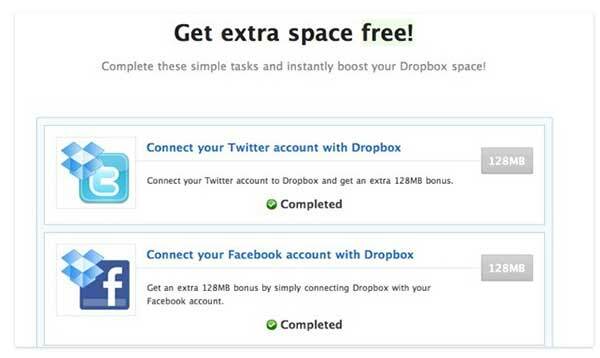 Combine this with their get extra free space campaign, within 30 days only, they saw 2.8 million invitations sent. Dropbox wasn’t even close to completing their product when they created the video. Tens of thousands of overnight sign ups gives a green light. Dropbox’s product was also revolutionary. It wasn’t easy to create though, so a better strategy seemed to stick things together to simulate and show the functionality to users before building a complete one. If this applies to you, Dropbox is a good example to follow. Remember how Buffer gained its traction from blogging? Well it wasn’t hard soon enough to attract people to sign up for an early access. But Buffer didn’t have a product yet. Instead, they used their landing page to see how far users go in the registration process. When you select a plan, you are taken to a page where you’d find out that the product is not ready yet. When a good percentage of your visitors get to this stage in the registration process, you know you’re onto something. The same idea can be applied to specific features. For instance, when you create the first version of your product (see below), you may be tempted to add more good-to-have features that improve user experience but don’t necessarily represent the core of the product: whatever users need to get the job done. One way to test new features is by adding a tab for the feature and when users click on it, take them through a step or two and finally announce that it’s not ready yet. You can add a link to a survey or open a comment box where they can write their notes and suggestions. 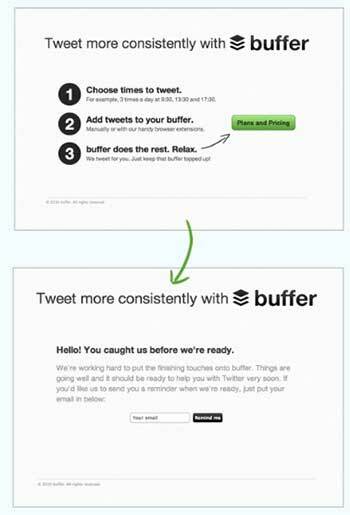 Buffer’s approach is viable to any product in any space especially for consumers (B2C). And if you can get your hands dirty, then take Groupon as a reference. Groupon, the second fastest company to ever reach a billion-dollar valuation, used a WordPress site to post deals and emailed confirmations manually. Although, Groupon is not a SaaS company, their example is an excellent reference for any model. In the SaaS world, you find many founders starting as consultants. Their experience interacting with clients and serving them non-scalably (manually), exposes them directly to their needs and expectations. Take the example of 37 Signals which became Basecamp, ACS to Crazy Egg and Exceptional to Intercom. A little bit of tech and a lot more manual work behind the scene can be a good way to start serving users before investing in a scalable platform. The initial manual work stage is a great learning phase not just about the user but also about how the code or algorithm should look and function. For a comprehensive guide about validating your ideas, check Ryan Robinson’s post. With all pre-product development work and testing, one final check remains. 1.5.6 Are we focusing on the best problem? Are we focusing on building the best solution? Putting together the interviews, surveys, path to market approaches (wait list, video simulation, etc. ), is the statement above still valid? This is a conversation that you’ll have internally with the team (or just yourself) and then validate with a group of potential users over coffee, phone or you may even restructure some of the surveys you sent out in the previous phases with the goal to test the consistency in users’ answers. Go back, learn why to clear any last-minute doubts. You’re still making free mistakes at this point. The founders of Klaviyo, a marketing automation platform, Ed Hallen and his co-founder Andrew Bialecki experimented with their ideas for 9 months before building a solution with plenty of customers ready and eager to use it. The team bootstrapped their way up to a million dollars in annual recurring revenue before raising Venture Capital funds. Building a technology startup has never been cheaper. According to CB Insights, today it costs less than $5,000 to launch a startup thanks to open source technology and cloud based tools. So, by “stages that require an investment,” it’s simply when you need to create a product out of all the research and learning you’ve gained over the past period. And this product, doesn’t need a million dollars or even fifty thousand to be built. If you’re a programmer or non-technical and you are pursuing this venture with a technical co-founder, you may still be under the “pre-spending a single dollar stages” except any investment needed for some design work and tools you need to run the business. Wow features are what will make you obviously different from the competition. This doesn’t necessarily have to be in a feature per se. Finding a different way to solve an existing problem like Uber or Airbnb did, creating a cost-efficient platform for developers to store and retrieve any amount of data, at any time like Amazon Web Services did, delivering software over the cloud like Salesforce did are all innovations that created new trends and delivered the Wow. Obviously, such innovations only happen every decade or so and most of us aren’t really building or introducing the next revolutionary business model. Simply put, Wow features get the job done much better than the competition. The delivery of the solution could (usually it is) be the same way it’s been delivered for years but what creates the Wow is how uniquely this product gets the job done by removing fundamental blocks. Bootstrapping is a highly creative process. There are many standard approaches that you can follow to generate money for reinvestment into your venture without referring to banks, family, friends or investors but to become a true bootstrapper, you should understand how unlimited the options can be to fund a venture under limited to no budget. Expert bootstrappers are the real deal business people. They understand the parties that will benefit from a transaction conditioned on the availability of resources and use their business sense to find ways to combine efforts to accomplish a goal. Take the example of a retailer who’s looking to acquire a competitor at price X. This retailer doesn’t have the funds to buy the competition. The straight forward answer would be to get a loan or an investor on board. A true business man would ask: who’s going to benefit from this acquisition? In this case, the manufacturer and distributor could double their volume if the retailer acquired the competitor. How likely are those partners (manufacturer and distributor) to help the retailer fund the acquisition? Chances are they will listen and consider covering a portion of the acquisition if the retailer signed an exclusivity deal with them. This was a random example that shows how the bootstrapping strategies that a founder can use to move the needle are a function of their business sense and openness to find and create win-win scenarios. Nonetheless, there are many straightforward bootstrapping steps that founders can take to generate enough revenue to fund their venture regardless of how limited resources can be. Here are a few. As we mentioned above, one of the most effective ways to hit two birds with one stone is by consulting the clients that you aim to, one day, serve scalably through a software product. The reason why this strategy is so effective is because when you consult, not only will you be able to learn about clients’ job-to-be-done and fundamental blocks in a lot of details but also, all you need is 3 to 5 relatively big wins (clients) to secure enough funding for reinvestment. For example, if you design software for living and assume that for a while you’ve been thinking about better ways to serve users with web design through a high quality, easy to use drag and drop design software. To fund the initial versions of product development can be 5 design projects away. At $2,000 each, you’ve generated $10,000 that can be reinvested over time which gives you more time to earn more, cover your cost of living and reinvest as you grow. The same logic applies to any other field from engineering to writing, photography, marketing, accounting, etc. Most bootstrapped founders started this way. If you’re starting from scratch, the best services to sell are those that are aligned with your product vision because, for example, when you sell business consulting services and your vision is to create a software that simplifies business planning, you’re not only learning about user needs but also selling to your potential customers. They will be there when you create a product. Remember meeting and prototyping with customers above? Your consulting clients will help you create products that get the job done. In fact, Ben Chestnut, MailChimp co-founder and CEO, was running a design consulting agency when he built MailChimp in response to his clients’ requests to design email newsletters which he hated to do. So, he built them MailChimp. We touched on this strategy as a way to validate user intentions. It is also a very effective way to raise funds for product development. After all, there’s been a whole investment sector created based on the pre-selling concept: crowdfunding. Not all ideas can be pre-sold. If you’re creating a social or dating app, pre-selling is extra challenging unless your product offers camps and events that can be pre-booked. If you are building a content based site, pre-selling can also be challenging unless your product sells discounted access to books and magazines. In SaaS products, especially if you don’t have a product yet, the best pre-selling approach is to offer an irresistible deal that’s hard to let go. Think onetime life time payment, think 50% off forever, think 3, 6 or even 12 months money back guarantees. No matter how good the product seems, most people will hesitate to make a purchase unless 1) they know you well, and/or 2) have a once in a lifetime deal. To be successful at pre-selling, you have to do both. You must be thinking, you mean hiring a contractor? Asking them to work for equity? I think you’d agree with me that the most successful partnerships are when interests are aligned. 1) Delaying payment. Instead of dropping $5,000 on the development of the first version in a month and a half, ask to pay it over 6, 9 or even 12 months. Visionary contractors aren’t looking for the $5,000, they’re looking at the $100,000 they can start generating once they help you make a success out of your venture. If you get your hands dirty, this strategy works most of the time. Also, a great way to start building a relationship with a potential co-founder. At the beginning, it is risker to quit a job than to not focus 100% on the startup. Many multi-million dollar companies started by founders with full time jobs. Take the example of Bryan Johnson from Braintree Payments, Ryan Smith from Qualtrics, and Colin Chapman from Lotus Cars. They all found time for their ventures after working hours and on the weekends until their companies gained sufficient traction to justify them quitting their jobs. For instance, for MindMeister, a mind mapping tool, the founders kept their daily jobs until they reached 100,000 users and six thousand euros in monthly recurring revenue. And if you don’t have a job, create one. The best job you can have as a founder is through freelancing. Freelancing gives you the flexibility and power to earn a living while pursuing your venture. No matter how young and inexperienced you are, it’s not hard to fit in and sell. All it takes is mastering one single skill whether it’s designing landing pages, writing blog posts, building WordPress sites, customizing web themes, collecting data, managing social media, bookkeeping or anything else that interests you. With today’s available information, you can acquire any skill you want. Then use sites like Upwork, Freelancer, Peopleperhour, Angel.co and others to reach and sell clients. As we discussed above, all it takes is 3 to 5 wins (projects). Because they’ve been there and know how limited resources can hinder progress and growth, many established companies created packages for early stage startups whereby their tools and services can be used for free if certain conditions are met. For instance, take the example of Unbounce. How would you like to get $1,188 worth of their tools for free? If you have less than $3 million in funding and less than $1 million in aggregate revenue, apply and chances are you’ll get in. Always be looking for those packages. In case you don’t find a startup package on a company website, send them an email. The worst thing that could happen if they say they don’t is asking them for a discount instead. I found that most companies would gladly support you even in a small way. AppSumo, the Groupon for tech. Remember the irresistible, hard to let go offers discussed in the pre-selling section above, AppSumo does exactly that however, you’d be buying established products and not new ones. Although you may find newly launched products from time to time. EntrePerks partners with many of the best products and services in the market to offer its subscribers over $22,000 in combined discounts. Always be checking these services before buying a tool you need. Build it yourself. If you are a non-technical founder and unless you are going to follow Groupon’s approach to execution, do not bother spending months mastering code just to learn how to build the first version of your startup product. Becoming technical in a way that you can contribute to product development is very important but squeezing years of technical knowledge just to build a version or two is not the way to go. If you’re a programmer and even if you’re not as experienced as you need, dig in, find answers and build it yourself. With a co-founder. If you don’t have a co-founder by the time you reach this phase, continue solo for now. The most successful co-founding relationships are built and not recruited. In other words, cold contacting someone who seems to be a fit and asking them to join your venture and believe in your idea as much as you do, is almost never going to happen this way mainly because the role of a co-founder is like a parent (founder) adopting a child (startup). No successful adoption happens with a parent intending to only take care of the child for a day, week or month. And to build such a needed long-term relationship with shared passion and vision, the co-founding relationship must be nurtured. So, to kill two birds with one stone, build relationships the moment you start executing on your idea. This will give you some time to get to know people, get them excited, and make wise decisions about the person or team who can truly take you and the company to another level. Cold email them saying hi, appreciate their portfolio, comment on their posts, get their help with some work and pay them for it, invite them out, etc. Build a relationship. Two things happened from Ryan’s tweet, 1) he made sure people are as excited as he was about the idea, and 2) he built a list of interested people who he then contacted for support. This could be done through email, text messages, in Meetups, conferences, forums (like Reddit) or any other channels that could put you in contact with potentially interested people. This could be the easiest way to start finding help from the community, family and friends. Tyson Quick founder of Instapage lived in his car two weeks out of four for two straight years. His first venture, Jounce, didn’t do as well as he expected and the pivot he made with Instapage required resources and most importantly, time. Solving the right problem combined with patience and belief enabled him to bootstrap the company to over $10 million in revenue and 130 employees. So, above all strategies and bootstrapping methods that can be taught and applied, patience, perseverance, belief, consistency and commitment are prerequisites. Focus on a problem that matters to people and solve it better than anyone else. But first, validate that the problem does matter and people are willing to pay to solve it. With any or by combining the bootstrapping strategies above, you should have enough resources to build the initial version(s) of your product. Next is what to build and what to do with what you build. But first, if you haven’t yet, get the checklist and summary of the guide below. Next time, you can follow the bullet points in the checklist and use the guide as a reference. Typically, your MVP (minimum viable product) is one that only includes the minimum viable (useful) set of features that can be created quickly to collect the maximum amount of information from your users with the least effort before investing in a scalable version. 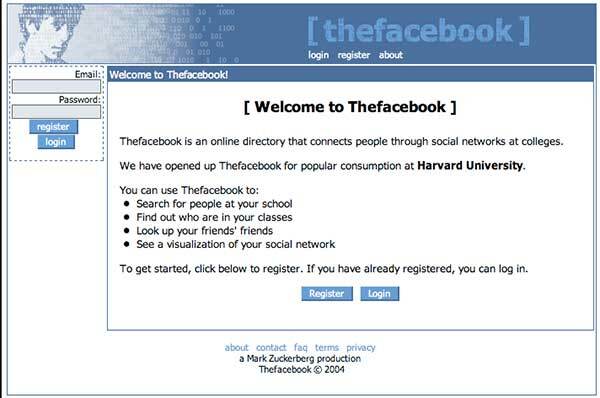 Zuckerberg took two weeks to build the first version of Facebook. His unplanned customer development in the previous weeks and months along with some insights from the community at Harvard helped him define what exactly to build. Facebook’s MVP is what you’d expect: core feature(s), OK design, buggy but works well. Once he got people’s hands on it, he understood what else to build and what to fix. Hiten Shah’s latest venture, DraftSend, caught my attention. To the best of my knowledge, this is the first live version of DraftSend. With this software, at this point, you can create and share presentations publicly and privately. What’s astonishing is that everything about the software and its design functions and looks way above the average you’d see in newly launched products. This learn privately before going live approach means going through the build/measure/learn loop a few times with a group of beta testers in a private mode until the insights gained from the testing groups are fully implemented and the MVP is perfected. With this, you find the public launch of a startup like DraftSend including functioning features with clearly tested user experience. This can be a better way for launching enterprise products, solutions for use mainly by companies and not consumers. In one page or less, summarize what you learned from all the earlier steps (interviews, surveys, prototypes, etc.). Call it: what we learned and then write findings in bullet points. If at this stage you haven’t yet, build a customer advisory board (CAB). Randomly reach out to at least 10 of the people you interviewed in earlier stages or those who gave you some of their time to answer survey questions. Jeff Bezos is known to have the best seat for the customer in every meeting. In an interview with First Round, Peter Kazanjy, founder of the acquired startup, TalentBin, talks about the process of building a customer board no matter how small your startup is. Build it. After a final check with the CAB and after making any iterations needed, you should finally be prepared to create the software. When the product is complete, the learn privately before going live approach entails internally running as many tests as you can before going live. This is when you invite a group of beta users to test the application and send you feedback. That, along with the involvement of the CAB, you should have enough information to iterate fast if needed. Testing the riskiest assumptions: The goal from this stage is to test the overall use of the application but most importantly validate the riskiest assumptions. As you may have read, the biggest reason behind startup failure is lack of market need. Those solutions that don’t get the job done. If you’re application is not removing fundamental roadblocks (according to beta users) to get the job done exceptionally better than the competition, chances are the majority of the market will not switch to what you created. At a Lean Startup Machine weekend, Ryan Hoover, founder of Product Hunt, assumed that coffee shop owners have a problem with long lines. His solution was to create an app for pre-ordering coffee. The fundamental roadblock was long lines because of the demand for coffee. And the job-to-be-done is ordering coffee (completing a transaction) faster. The riskiest assumption is the fundamental roadblock and job-to-be-done. In other words, if those are guessed wrong, there is no product at all. After meeting with several coffee shop owners, Ryan found that long lines actually drive business. It proves that the coffee is good and there is demand for it. This qualitative testing of the riskiest assumption(s) took Ryan 2 hours and maybe saved 200 more in effort that would have gone to product development and others. To test their riskiest assumptions, Dropbox created a video simulating their product while Airbnb founders rented their own apartments. After qualitatively validating the riskiest assumption(s), it’s time to test it quantitatively. In other words, you’re looking for an answer to: is this product removing the identified fundamental roadblock(s) and is it getting the job done? And as usual, there is one way to find out, let people use it, talk to them and keep an open eye on key metrics like bounce and churn rates. Although there are common metrics that every software product teams should monitor, the key metric(s) varies from one product to the other. 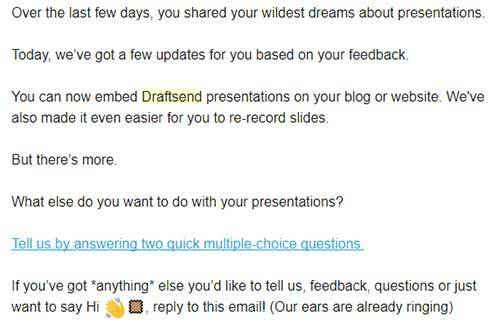 In the case of DraftSend, it could be presentations completed by every new user. Since one of the roadblocks that DraftSend is working on eliminating is the time wasted on attending demo meetings with every prospect, it is concerned about validating the riskiest assumption of users recording and sharing a video with their prospects. So, it monitors video(s) created and shared by every user. This quantitative testing of the riskiest assumption(s) starts with the CAB and early beta users until validated either the way the product was built and presented (user experience and interface) or after making some adjustments following customer feedback. When you’re done, you go live. Pricing is an important topic at this stage and the discussion about pricing starts as early as the first meetings with potential users. Keeping competitors’ (direct/indirect) pricing in perspective, SaaS products pricing plans account for the urgency of customer needs to use the product and their price sensitivity. For the latter, it’s also a matter of assumptions and testing. Sujan Patel, founder of ContentMarketer.io now MailShake, talks about his overall experience building his first SaaS startup. About pricing, his product pricing went from $9 to $49 then down to $19 all based off conversation rates. His recommendation is to discuss product pricing with users as early as possible. Hiten suggests that SaaS startups should offer their customers a ton of value for free before making the leap to a paid plan. In fact, Neil Patel associates Mixpanel’s success despite Kissmetrics’ (his company) first mover advantage was because Mixpanel took the same idea and technology but offered it for free. Very quickly, Mixpanel’s valuation rose to over $800 million because of its exponential user growth when Kissmetrics wasn’t even valued at $100 million despite getting more funding than Mixpanel in the beginning stages. Jason Lemkin founder of SaaStr and his acquired company EchoSign, endorses the importance of having a Freemium component in SaaS companies to minimize share dilution. He uses the example of LinkedIn and associates part of its success to having at least one stream of income with a much lower acquisition cost. Although we exclusively discussed the importance that a free plan can have on acquisition, customer understanding and growth, product pricing isn’t a part of product development where one can drag and drop common pricing strategies. It’s extremely important to get inspired by the pricing of other SaaS startups, but at the end of the day, the right pricing is the sum of learning from customer interaction, the product itself and its value proposition and finally, the competition. Do you remember the launch day of these companies: Facebook, Twitter, Uber, Airbnb, Youtube and pretty much any other wildly successful company today? The truth is that many entrepreneurs get very obsessed about product launch when all it is that a prepared launch will do is create a temporary peak. Thousands of companies spent significant amounts to ensure world wide awareness of a newly launched product but when the promotion calmed down, the company went back to where it’s supposed to be, validating product usefulness in removing roadblocks and getting the job done. The only difference is that successful launch campaigns result in a bigger user base which can be good or bad especially for new products by young startups. After all, one of the main reasons behind startup failure is pre-mature growth. What most of us don’t know about product launches is the work that was put behind the scene. 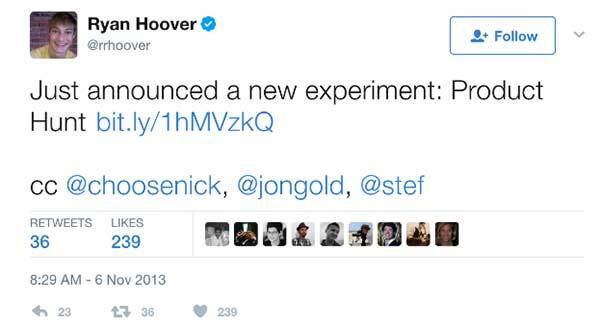 Although Product Hunt is not a SaaS startup, it’s the perfect example of how successful launches that last were nurtured. Ben Gelsey chronicles Ryan’s journey here. With a lot of the launch work done behind the scene, it may be time to open to the public. Besides the traction gained from launching products on Product Hunt, its biggest advantage is in the feedback founders get from the community. And because everybody forgets launch day, it’s what you learn from users that matters. 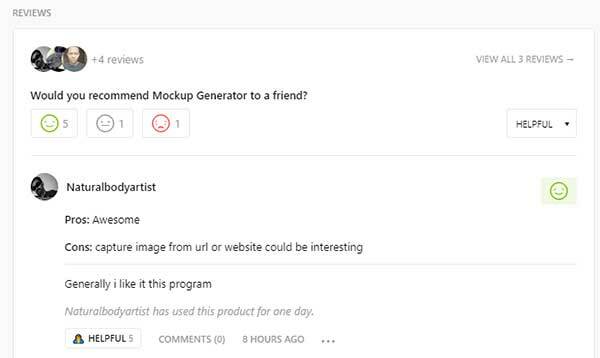 Here is an example of reviews for the new product addition to Mockup Generator. In the first review section, we find a survey to measure the product’s net promoter score (would you recommend [product]?). In the second section, we find actual written comments by users. The Maker(s) (the founder(s)) can comment and interact directly with those users. From a user acquisition stand point and to keep the momentum that Product Hunt can help you create, you need your evangelists. Those are the people who will communicate your product to others as Steve Blank puts it. Let those be you customer advisory board. With CAB, you will plan launch. Set a date, outline plan and execute. Each person listing all the people that they know who would benefit from the product and blasting the email on launch day. Each person mentioning your product in at least two communities (Reddit, Facebook, Meetups, Forums, etc.) on launch day. Each person launching a quick 10-20 seconds video testimonial of the product. Each person writing and posting an article about the product. Each person organizing an event (Meetup, webinar, Facebook live, etc.) about the product. What do they get in exchange? Depending on their involvement, it’s for you to set the reward depending on their needs. It could be lifetime access to the platform, it could be your mentorship, it could be your help in promoting theirs. In fact, I always wondered why there wasn’t a community that unites people with similar interests to help each other discuss new ideas and promote each others’ product launches as a group. And with this, we get to the next level where you’ll be looking for product/market fit and scalability. First and foremost, in fact way earlier than this stage, you’re looking to have an advisory board with people who’ve been in your shoes and did what you wish to do. 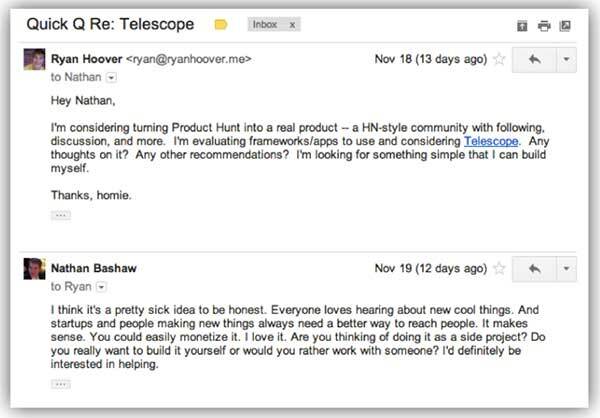 If you read Ben Gelsey’s post about the steps Ryan Hoover took to build a massive community for Product Hunt, everything started from the top: the experts and influencers. Those are the people who say it to your face if you’re wasting your time and if you’re not, they’ll make sure you move in the right direction and make the best decisions towards your goals. This is a crucial time to have an advisory board or a list of mentors in the space. “Advisory” and “board” sound very fancy when all it is at this point is a group of experts/mentors who are interested in you as an entrepreneur and on what you’re doing. Later, these can turn into company advisors and/or investors. Long story short, relationship building takes time and must start by providing value before seeking anyone’s support. And for this reason, start building your network the day you begin your entrepreneurial journey. If this is your first startup, start getting to know future advisors the moment you define your business hypothesis (idea). Despite all the work that Sujan Patel and his team put behind the scene and before launching the first version of their product ContentMarketer.io, they later learned that the number one problem they had was onboarding and customer education. In other words, their customers did not know how to use the product. This is often overlooked because it doesn’t necessarily concern the core product but the experience of the user. One of the best ways to find common user experience problems, in addition to speaking directly with customers, is through user testing tools. One of such tools is UserTesting. You select what you want to test, type your questions for participants then you will receive recorded videos from real people using your product or whatever you wanted to test. This is another layer of research that you can add to your product launch schedule. At the end of the day, as much as we do initially, there’s always going to be things that we won’t be able to predict until we get the product in the hands of more people. Constant communication with the customer, reassurance, and fast releases are extremely important. At this point, it’s no longer about finding a way to secure enough funds to build the initial version. Funds, at this stage, must be readily available if we were to move fast and strong. First and foremost, up until now and unless customers start paying since day one giving you enough funds to proceed, the bootstrapping strategies employed in the initial stages must not be eliminated until the target amount is reached. For instance, if you are consulting, by projecting the amount you need to invest in your startup in the next 6-12 months, you should know how many clients you need before reaching the target amount. If, for instance, you estimate your seed stage to require $50,000 and your average consulting client pays $5,000, then you need 10 clients to reach your target and be set to focus on your venture for the next 6, 12 or 18 months. One may argue, how can founders focus on building their startup if they are serving 10 clients? The way this can be possible is by delegating. Hire a team to do most of your work, increase your prices by the amount you’d need to pay them or get 2 to 3 more clients. The best source of money is your product users/buyers’ money. If this is a sufficient amount, reduce the time spent on other bootstrapping strategies like consulting or keeping a full-time job and focus more on the product because it may be on track to become the only source of fuel for the business. Your product may be self-sustaining like that of Square whereby the company started generating revenue the day they started doing business but if it’s not, like Quora or Facebook, business models that require traction to justify advertisers’ money, in this case and even in the first scenario, you always want to be building relationships with potential investors. Even if you don’t intend to get funded one day. And if you do want to seek funding eventually, the sooner you start keeping investors in the pool, the sooner you’ll raise funds. For instance, if since day one, you emailed, met or got introduced to an investor or two, told them about your space and what problem(s) you are looking to solve, followed up a month or two later just to say hi and keep them posted, followed up again launch day, met in a conference or over coffee, showed your progress, chances are by now they should have an interest in the business and especially you as an entrepreneur. This long-term relationship building strategy is what will get the investors, co-founders, media, key partners and yes, husband or wife. Most likely you don’t have funds to pay A players to join your team. Sharing equity with team members that believe in the product and vision can help remove the friction in hiring good members. Typically, an employment package in a startup with an option pool contains salary plus equity. If you don’t have liquid assets (cash) to pay competitive salaries, you will have to compensate by offering more equity. Typically, an option package vests over 4 years with a one year cliff. In other words, hires must remain in the company for 4 years if they wanted to get the fully promised percentage. The first portion of their equity will start counting after completing the first year so if they quit or got fired a month before their 1-year anniversary, they won’t receive any equity. Every year, they officially get a quarter of their equity, say 1% if they were offered 4% for joining your startup. Option pools align employees’ interest with the company especially if you don’t pay much which shows that employees are coming to hit it big with you. Pick one key metric for each member in the team, align and double their compensation with their performance in meeting and exceeding their metric goal. For instance, if content marketing is key to your business, then reward your content manager by tracking conversions resulting from your posts. If you need sales people, instead of offering say 10% commission for every sale, pay 20. If you need a customer success person, track their performance in promptly answering questions and helping customers. The truth is that at this point, most of the time, you don’t need to fill these positions and most of the work can be done by you, a co-founder or employee and one or two contractors. The amounts secured from consulting and reinvesting revenue generated from the product can be enough to keep the lights on until later stages. However, in the case where you need to grow to meet demand, an option pool and alignment between compensation and performance can help you find A players sooner. In either case, a lawyer is needed to draft the contracts for maximum transparency. With enough funds to proceed, what’s next? Create a survey for each group. Schedule a call with a sample from each group. This is in addition to the survey, a way to validate survey findings. Start by addressing the needs of the first group then the second, and finally, work on improving the product and building the next features for the third group. The third group includes people that already love your product and found value in it. They’re eager for the next milestone but have enough to work with today. Speaking about Hiten, here is what he sent DraftSend subscribers only a couple of days after the launch of the first Wow! version. Creating presentations with a click of a button is DraftSend’s unique value proposition. But most people expect to embed those presentations on their blogs or websites and not just share presentation links. Embedding is DraftSend users’ must-have features. All the steps that we’ve taken above can be summarized in three words: build-measure-learn or more like learn-build-measure with more time spent initially on the learning part with smaller loops later as customers’ roadblocks and jobs-to-be-done are identified and validated. The last note in this guide comes from Noah Kagan who repeatedly advises about the importance of focusing on the things that work especially for bootstrapped founders: “test a few things out, then double down on what works.” This applies to every area in business from management to marketing, recruiting, finance and others. When you find what contributes the most to your goals, focus most of your resources on it until it stops working. 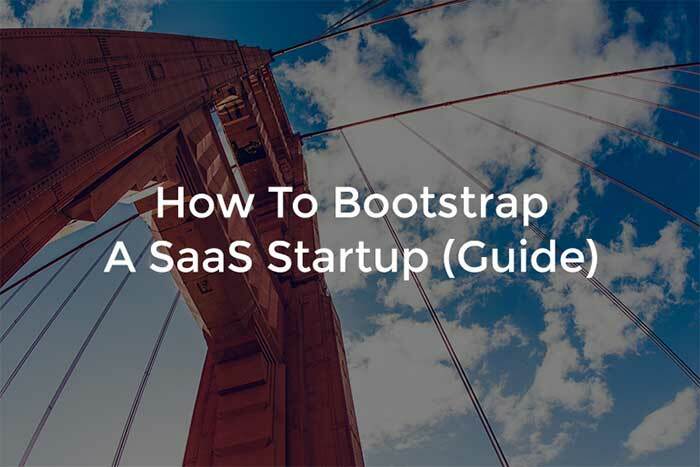 How to bootstrap a SaaS startup? Most of the steps you take from hypothesis to early traction are more about getting hands dirty than wallets dry. You do not need a technical background to build a SaaS startup. By doing most of the work behind the scene, you can build business and personal value that will attract the best talent as co-founders or employees. Being your own customer doesn’t mean you know what needs to be created. The market for your product is a lot bigger than one person. Start by identifying the jobs-to-be-done and the hurdles that existing solutions are overcoming. Use the when, I want, so I can get framework This will be your hypothesis. Recruit potential customers. By interviewing people and asking the right questions, you’ll have enough information to qualitatively validate or iterate on your hypotheses. Adjust your hypotheses and test again. Send a survey to a bigger sample with questions focused on user expectations: I want to accomplish [X, Y, Z], I can’t accomplish [X, Y, Z], I need to accomplish [X, Y, Z], I am not able to accomplish [X, Y, Z]. Create a customer advisory board (CAB). 10-20 potential customers who care about the product and the solution it will bring to their jobs. Prototype with your CAB. Let the solution come from the buyer. First, with your CAB, identify Wow features. The things you can do exceptionally better than the competition: whatever you can do 10X better than existing solutions like saving 10X effort (time) spent to accomplish a goal, saving 10X amount of money, making 10X more money, etc. Use the first principles approach to tackle and solve complex problems. Create early traction. Use Ship by Product Hunt, create a landing page and invest in content marketing. Create design prototypes. Designs will put a face to your product and prepare for the next phase of testing. When applicable, create fake buttons like Buffer to test users’ real interest in using the product. If your product is disruptive, follow Robinhood’s launch strategy. In any case, if someone is willing to pre-pay, take it. With surveys and calls, always be learning from customers. Once again, check if you’re working on solving the best problem with the right solution. When you exhaust your behind the scene customer development efforts, you can choose to either build, launch and learn live with an OK product like Facebook did or learn more privately before going live like DraftSend. If you follow the latter, get beta users’ hands on the product, seek their feedback and make the needed changes before launch. listen to a wider audience, adjust then build more or focus on less. If you have a question or experience you want to share with us, pick a section in the guide and tell us more in a comment below. Take a minute to tell us what you think about the guide and how we can do better. If you found something of value in this guide, tell the world. Share!